A civil lawsuit is one where the plaintiff claims he has incurred a loss from the actions of the defendant. While it is always best to resolve a dispute without going to court, some disagreements will eventually end up in front of a judge. Like all states, Kentucky has its own requirements and limitations when filing a lawsuit. 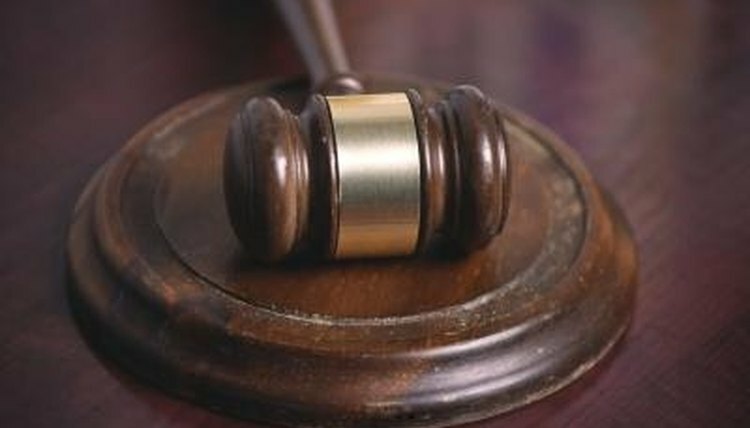 Before pursuing a civil suit case, make sure your situation applies to these guidelines. Decide which court is appropriate for your lawsuit. If the property or money involved equals $1,500 or less, file with the Small Claims Division. If the amount is more, your case will be most likely be a jury trial. Make sure your suit falls within Kentucky's statute of limitations. For oral contracts, you have five years to file, 15 years for a written contract and only one year for a personal injury suit. Go to the circuit court in your county. Talk to the clerk and procure all the necessary paperwork needed to file a civil suit. Fill out the paperwork, including your personal information and the contact information of the defendant. File the paperwork with the clerk at the county office to begin the lawsuit. Pay the applicable fee for the paperwork when you file. Once you file the suit, the court will send a summons to the defendant. You can decide if you want the summons sent by certified mail or delivered by the Sheriff's Department, where you pay for the service. The date of the hearing will be listed on the summons. Harris, David. "How to File a Civil Suit in Kentucky." , https://legalbeagle.com/8452334-file-civil-suit-kentucky.html. Accessed 22 April 2019.